Magnolia is the longest of the Walt Disney World Golf Courses at 7,516 yards. 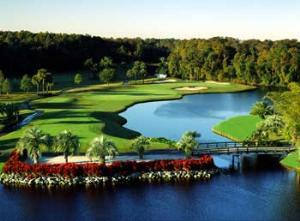 Designed in a classic tour style featuring 11 of the 18 holes with water hazards and 97 bunkers across the course. Named for its majestic magnolia trees, this course features elevated tees, spacious greens and challenging water hazards.